As a biologists I have spent too many hours than I’d care to admit in the lab. For a lot of that time I was trying to think of ways to find some fun in the rather dull and controlled environment. If only I had found these amazing pieces of art sooner. A lot of work I have done has dealt with growing cells on petri dishes. This is not the most exciting of activities, but some very talented artists and scientists have found a way to make art from growing cell cultures. The work is know as Microbial art and has been put together by Dr. T. Ryan Gregory. It is a collection of various artists and scientists’ works brought together to show the beauty that is present in a normally “invisible” world. I love this idea of using pretty dull lab procedures to make really individual pieces of art. Here’s a few I found when looking around the website. This and the photo at the top of this post are by Dr Ben Jacob and you can see all of his work here. These pictures may look like paint or ink, but it is in fact made up of billions of living bacterial cells. This picture is great as it shows the art within the petri dish itself rather than snapshots of portions of the dish like Dr Ben Jacobs and the below Erno-Erik Raitanen’s work. This piece is one of a collection of works done by the iGEM team in Osaka using Salmonella Typhimurium bacteria that are expressing proteins that lead to fluorescence. This piece is by a Finnish artist called Erno-Erik Raitanen. This is another great piece of work using bacteria and growing them on a film negative with gelatin on the surface. The bacteria eat the gelatin and that leads to the amazing patterns seen in the photos. The film negatives are then developed and the beautiful results can be seen here. These are only a few pictures from a huge collection that can all be found of the microbial art website. Have a browse about, some of the results are incredible. These pieces are bridging the gap that exists between science and art, and have really opened my eyes to the beauty that is hidden away from us normally. Explore.org have created Bee Cam, a live stream from inside a honeybee hive, to provide us with a unique insight into the inner workings of a living bee colony. No matter how large our curiosity may be, in reality we cannot go about sticking our heads in beehives (for obvious reasons). So instead the folks at explore.org have provided the virtual alternative to this potentially deadly idea. From the creators of Bear Cam and Bird Cams, explore.org have carefully positioned cameras within and at the entrance to a beehive in Waal, Germany. The stream is in HD, completely live and runs 24hrs a day to fulfill all of your bee watching needs. You can even take snapshots of the live footage if a particularly photogenic bee comes along. Bee Cam is providing a rare glimpse into the lives of one of the world’s most rapidly declining group of insects. Bees are facing a multitude of threats including colony collapse disorder, climate change, disease, and the heavily covered threat of pesticides. The mystery killer, Colony Collapse Disorder alone is thought to have contributed to the collapse of over 10 million colonies in the last 6 years. 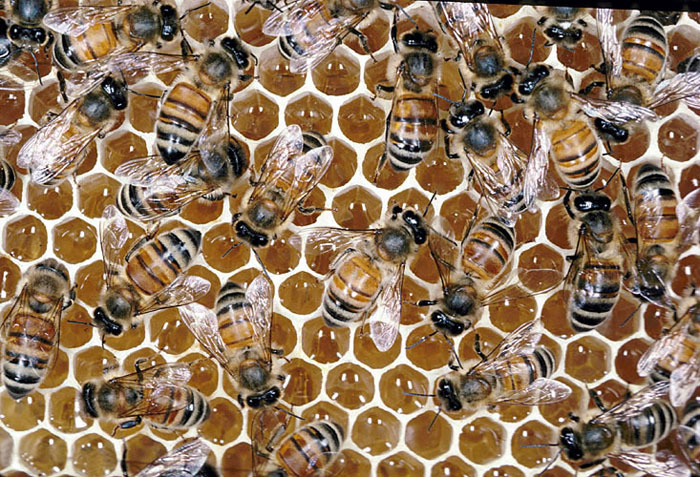 The colony of bees being observed by Bee Cam are in the process of recovering from a colony collapse. This Big Brother of the bee world is allowing a crucial insight into how these colonies respond to colony collapse and what behaviours they undergo to recover from such an event. You can watch the honey bees carry out many behaviours including cell cleaning and capping, comb building and honey making. You can also observe how the individual bees interact; undergoing behaviours like grooming which help to maintain the cooperative life strategy that these bees abide by. If you have some spare time, head over to explore.org to watch these busy bees go about their dayly business. If like me you are an avid bee fan then you will love this amazing glimpse into their lives. Fabrics of the Future: Hagfish Slime? Clothes are important to anyone; whether you’re an avid fashionista or more of the practical sort, we all need clothes. However, the materials and fabrics of choice may be straying from the ordinary to the extraordinary in the not so distant future. The source of the fabric for your new dress or coat could be swimming at the deep, dark depths of our ocean floor. Research led by Atsuko Negishi at the University of Guelph in Canada has suggested that hagfish slime could be used to create a super stretchy, lycra-like fabric. The team managed to collect this slime from the hagfish and realised that it could be treated and then spun into threads much like silk. This does seem a bit odd and gruesome, but it really is very logical to put these materials that nature provides to good use. The majority of the fabrics we rely on today, are oil-based polymers which basically means that the materials are petroleum based. With our ever decreasing supplies of petroleum the demand for alternatives to these products is high. Hagfish are ancient, bottom-dwelling animals that have been around for over 300 million years. If you’ve done some evolutionary biology in your time, you should definitely remember these weird creatures. 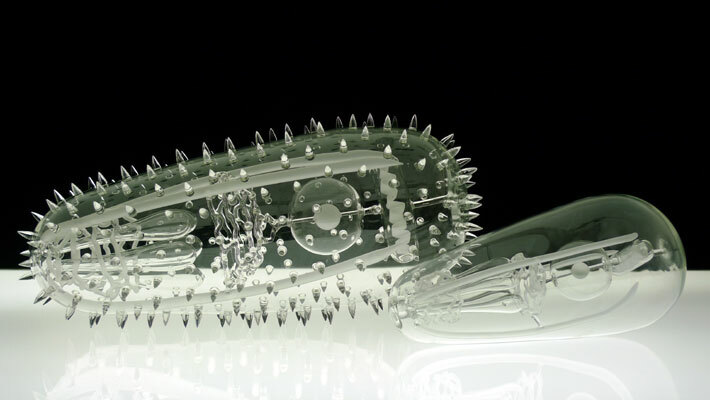 When these strange, eel-like creatures are approached or attacked they release this sticky slime as a deterrent. The slime contains mucous and huge amounts of certain protein fibers that belong to a family of protein fibers called intermediate filaments. These filaments are great for making fabrics as they can be deformed and stretched to shapes and sizes very different to their original form. The researchers aren’t quite ready to produce full on items of clothing, but they intend to pursue this concept further to hopefully create the basis for more environmentally friendly fabrics of the future. If you want to read the original paper it can be found here. Could Young Blood Stop you from Ageing? Research in the US has shown that injecting old mice with young blood leads to improved muscle strength, brain function and stamina; potentially reversing the effects of ageing. 3 studies were published last week in Science, all reporting on the rejuvenating effects of young blood in older mice. The young blood led to the appeared reversal of age-related declines in memory, learning, stamina and the function of many organs including the heart and brain. Ageing is the underlying cause of a huge number of health problems. As our bodily systems slowly go into decline with age, health problems like dementia, cancer, heart disease and diabetes become more and more common. By learning more about the ageing process and its links with various health problems, we could predict, or even prevent many cases. Therefore, this research carried out in the US is of great importance. In each study the researchers used a process called heterochronic parabiosis, which essentially involves joining two mice together; think conjoined twins. This process is carried out by making an incision on one side of each mouse and then allowing the wounds to heal in such a way that the two mice become joined. This process results in the joining of the two mice’s blood supply. The researchers joined young mice (3 months) with older mice (18 months) and studied the effects of the new shared blood supply. They found that brain function increased in the older mouse, as not only did the mice grow more neural connections (how brain cells communicate), these connections were also stronger. This means better communication between the cells in the brain of the older mouse. From these initial findings Villeda went on to directly inject older mice with young blood plasma (blood without red blood cells), and what he found was remarkable. He tested the young and old rats’ memory and ability to learn using a water maze and testing their ability to remember a threatening environment. The old rats injected with young blood plasma performed just as well as the six-month old rats in the maze task. Even more remarkably, the older rats performed as well as the three-month olds in remembering a threatening environment. These results suggest that there is something in the blood of young rats that is essentially reversing or halting the ageing process in older rats.. so what is it? The answer to that very important questions is Creb; a protein that regulates the brain. The young blood plasma actually increases the activity of Creb which in turn switches on the genes that create neural connections. However, young plasma isn’t just improving learning and memory in mice. Further studies have shown that injected young blood also increases blood flow in the brain by encouraging blood vessel growth. There was also an increase in the growth of neural stem cells which later become new brain cells. It has also been found that young blood makes older mice stronger and boosts endurance due to increased muscle function. The young blood also led to the older mice gaining a greater sense of smell. So this is all very exciting, but what happens if you do the opposite, and inject young mice with old blood? Well, interestingly the younger mice show the opposite results; they show decreased brain and muscle function and perform less well in memory and learning tasks. So the process works both ways. So what does this all mean for us? According to Villeda, “The evidence is strong enough now, in multiple tissues, that it’s warranted to try and apply this in humans”. This potential research is however, not expected to take place until three to five years from now. This is all very promising, and if the same is found in humans there could be a dramatic reduction in the onset of age-related health issues, which would be particularly important as the aged population in the UK continues to grow. Preventing the onset of these diseases would save a huge amount of money and potentially work to prevent the potential impeding public health crisis. However, we cannot know for sure the impacts of this study on humans until clinical trials are carried out. So don’t go stitching yourself to your children just yet.. there is plenty more we don’t know. I shared some amazing photos of pollen a few days ago by Martin Oeggerli which you can find here. I got a great response from these and I loved the photos so I thought I’d look about for anything else similar. I stumbled across a huge variety of images. Unlike the National Geographic photos these are non-colour pictures but I feel they still capture the beauty of the microscopic natural world that surrounds us. The beauty that can be seen in nature, I feel is overlooked by us all. There are some stunning things that we can miss in the hustle and bustle of our everyday lives. I have recently started to realise just how much of the world I filter out when going about my daily routine. We need to start stopping more, expand our current tunnel vision and take in the wonder that surrounds us. I just love how alien these pollen grains look, yet these microscopic grains float around us all the time and can cause those runny noses and watery eyes we all hate in the Spring time. These amazing photos were taken by Louisa Howard using an electron microscope and her whole collection can be found here if you want to further explore these bizarre microscopic grains. Delving into the microscopic world provides a whole new level of wonder that is far beyond our own visual abilities. Beauty can be found in all areas of life, even within the very small. Work like this gives us the opportunity to peak into this incredible world we know so little about. In 2011, fishermen caught an adult bull shark in the Gulf of Mexico. The adult was pregnant, and they soon realised that one of the foetuses was a lot more interesting than first thought. The foetus had developed normally in all aspects, except that it had two heads. This bizarre phenomenon is known as dicephalia, and is when a single fertilised egg develops into a foetus with two heads. Dicephalia is something that occurs across nature and we humans generally refer to it as conjoined twins. So the idea of a two headed animal is not hugely novel, however, the occurrence of this phenomenon in chondrichthyes (cartilaginous fish) like sharks, rays and skates is very rare. C. Wagner and his team from Michigan State University managed to get hold of this truly unique shark and tried to understand the mechanisms of development that caused this two-headed marine animal. They released a paper this week that discusses the finding of this unusual shark and delves deeper into the interesting science behind the development of dicephalia. The two-headed foetus was not the alone in the womb, with other normal foetuses having been found. The foetuses had developed enough that they were severed from their umbilical cords and released back into the wild. The two-headed foetus died soon after it was severed from the mother and was preserved in 70% ethanol to enable the research on this unique creature. This finding got me delving into other dicephalic creatures that have been found, so I thought I’d share some of the cases with you. I find it all really interesting except some of the science behind it is pretty complex, so if you do end up looking into it I wouldn’t get too bogged down in all the detail. This is Abigail and Brittany Hensel, these are the most well known human dicephalic twins. Each twin has its own set of main organs (heart, liver, lungs etc.) but can only control one half of their body. So each twin has control over one leg and one arm. This meant that learning movements that required coordination between both halves was very difficult as it requires cooperation. This meant that walking, running clapping etc were highly difficult things to master. This two-headed albino Honduran milk snake is an example of dicephalia in reptiles. Other two-headed snakes have been known to live up to 20 years in captivity. However, in the wild it is likely that survival is reduced due to the difficulty that comes with two heads controlling one body. 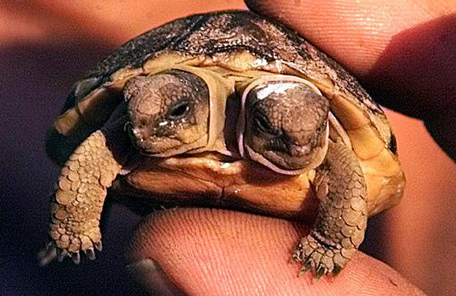 Another two-headed reptile; but this time a baby tortoise. Apparently this individual shows little difficulty in carrying out normal functioning and just goes about its daily business like any other tortoise. An example of dicephalia in felines. This pair are from Massachusetts and are called Frank and Louie. 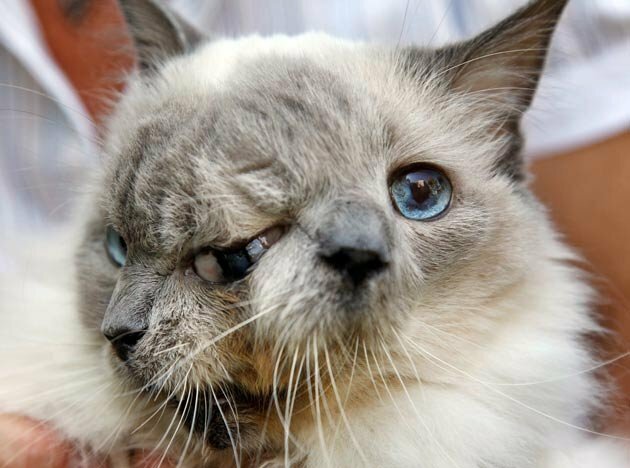 They hold the world record for the longest living two-headed cat. Seems a pretty niche category.. but I swear most world records these days are a bit ridiculous. Hope you enjoyed looking at some of the world’s weird and wonderful creatures, even if they do have more heads than normal. Fracking 101: Are Flaming Taps the Future for the UK? I’ve been seeing a lot of media coverage about fracking recently. It isn’t something that I’ve ever really delved into but with all the media attention recently I thought I would look a little into it. I knew very little about fracking and after doing a little research into the topic I found out some really interesting things. Also with the use of fracking being considered in the UK I thought I would do a fracking 101 post for those readers like me who are new to this idea. So let’s start with what fracking actually is. “Fracking” is actually the name for the process of hydraulic fracturing which involves pumping liquid into drilled holes in the earth. The liquid is injected at very high pressures leading to shale rock deep into the earth’s crust fracturing and releasing natural gas. So fracking is a method of extracting natural gas locked up in the shale rock of the earth’s crust, but what is actually involved in the process? So obviously water is required; this is the core component of the liquid injected into the ground. However, I had no idea just how much water would be required, with 1-8 million gallons of water needed for just one fracking job. 1-8 million is one of those figures so large that you can’t really come to terms with it so I thought I’d help to visualise it. Let’s split the figure at 4 million gallons of water. That is the equivalent to filling 80 000 bath tubs, or a swimming pool the length of 4 football pitches, 200 ft. wide and 40 ft. deep. Basically, it is a hell of a lot of water. But it is not just water that is required in enormous amounts; “fracking fluid” is made up of water mixed with sand and a cocktail of 600 chemicals. 40 000 gallons of this chemical concoction are mixed with the 1-8 million gallons of water per fracturing job. This mixture of 600 chemicals is made up of some nasty products, many of which are carcinogens and human, animal and plant toxins. These include the (unfortunately) commonly known polluting culprits like lead, mercury and uranium but also many other hazardous chemicals including ethylene glycol, radium, methanol, hydrochloric acid and formaldehyde. These chemicals have numerous detrimental effects when existing in unnaturally high concentrations in the environment. Right, so once the fracking fluid has been mixed what is the process involved in extracting the natural gas? The fracking can take place over land or ocean as long as the appropriate rock and gas stores are located there. The fracking fluid is pressure injected down a pipeline drilled into the ground at these sites. When it reaches the end of the pipeline the shale rock cracks due to the high pressure of the fracking fluid. This released gas enters the well and is extracted to fulfil our growing energy demands. Like all other forms of non-renewable energy extraction and some renewable energy forms, there are many associated detrimental effects. These effects have been touched upon already but I’ll go into more detail as to the problems and risks involved. So firstly there is the massive water requirement. Water demand is ever growing for many reasons driven at their core by the world’s growing population. However, the ability to fulfil this demand is falling and it is predicted that water demand will be 40% higher than supply by 2030. This means that industries requiring huge amounts of water are becoming increasingly unsustainable. Therefore, practises like fracking need to consider new methods to reduce their water use or their future is hugely limited if not completely empty. The impending water crisis is predicted to lead to huge water deficiencies worldwide. Do we want our limited water to be driving frankly, unsustainable practices or nourishing the drought ridden landscapes and populations that are predicted to become increasingly common? The second issue I’d like to delve into a little further is the problem of contamination. 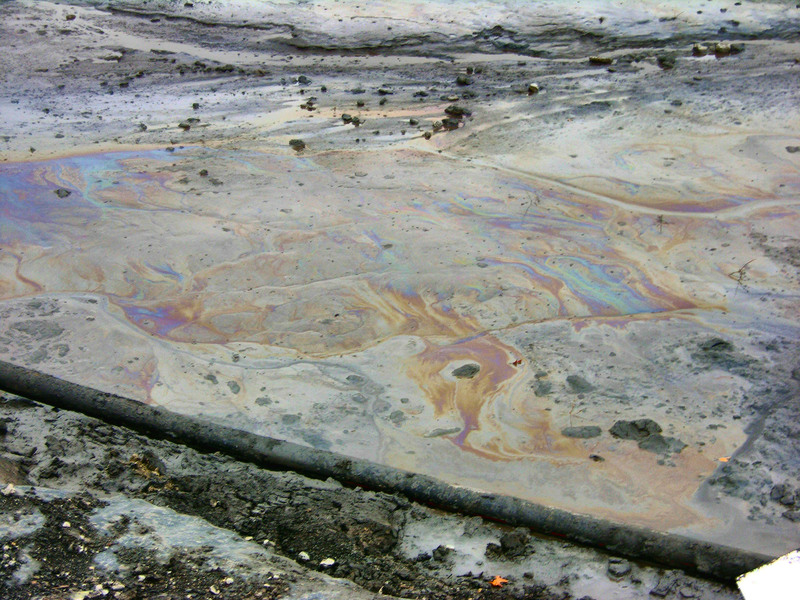 It is known that methane and other chemicals from the fracking fluid can leak into nearby groundwater. This water can be extracted and used as the drinking water supply for nearby towns and cities. It is has been noted that methane concentrations in water supplies near to fracturing sites are 17 times higher than normal wells. In the documentary GasLand by Josh Fox there are numerous clips of people putting matches to their running taps and the water setting alight due to the presence of the flammable methane. If that is not enough of a visual representation of the effects of fracking, I don’t know what is. This documentary is incredible and I really recommend you watch it. Over 1000 cases of water contamination have been recorded near to fracturing wells. The consumption of the contaminated water has been known to cause numerous sensory, respiratory and neurological health problems in people in the affected areas. These contamination problems are further worsened by the fact that 50-70% of this toxic fracking fluid is left in the ground to continue leaching into surrounding rock and water. This fluid is not biodegradable so can remain for years polluting the earth 1000s of meters below our feet. Just because we cannot see the effects of this industry in plain sight doesn’t mean that this polluting activity does not affect us. The fluid that is removed is left in pits to evaporate. This releases VOCs (volatile organic compounds) including methane and formaldehyde which evaporate into the atmosphere and contribute to our already worsening problems of air contamination, acid rain and ozone pollution. So why is this important now? Practises like this cannot be maintained forever. With our ever increasing demand for energy and water not being matched by our earth’s dwindling supply, practises like this need to change. Fracking is relatively common practise in the US and the government ruled in 2006 that methods like fracking were exempt from following the guidelines of numerous environmental safety acts. This alone shows how governments are putting money and unsustainable practises ahead of human and environmental wellbeing. There is plan to potentially carry out fracking in the UK. Yes, energy demand is growing and needs to be fulfilled but is this short sighted approach to fulfilling that demand really going to help us in the long term? I found a really good website briefly outlining the facts and dangers involved in fracking which I would really recommend as a more visual and interactive representation of fracking.